The funniest thing happened the other day. I decided I needed a little style inspiration with a bit of decor change around our place. But with Christmas decorations on every shelf, I knew my regular stores such as Home Goods and TJMAX was a no go for me. I wanted something old mixed with a little new of this and that type of stuff. 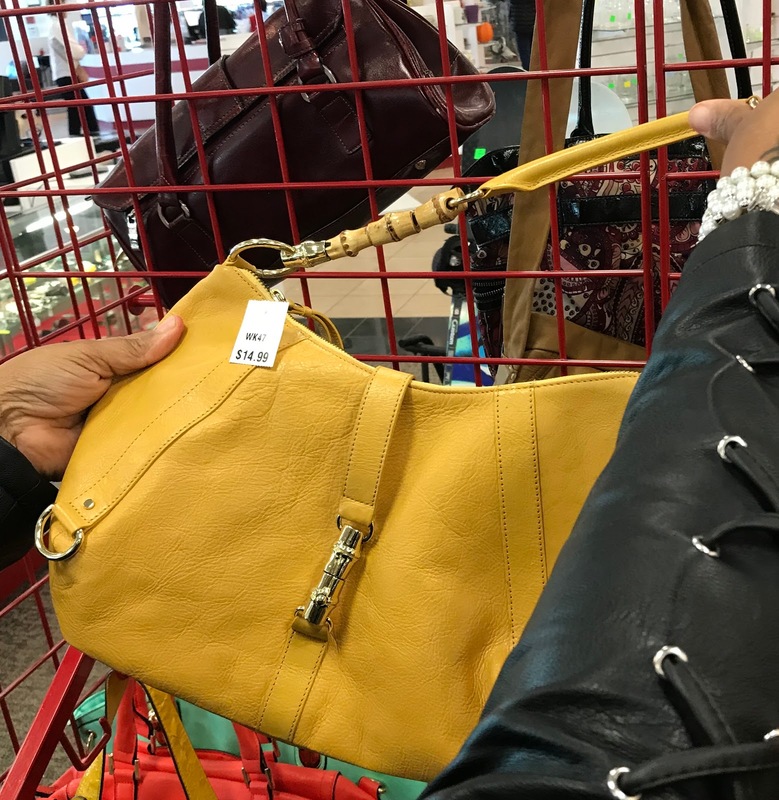 Also, I wanted to find a newish gently used handbag, and I knew the thrift store or strolling the second-hand aisles were going to be the place for my new ideas to flow. I am the type of person when the urge to shop hits me I have to get moving because I am afraid I will miss something. Usually, when I need to shampoo my hair, I never go anywhere on my bad hair days. But, I felt I was going to miss something if I didn't get up and dress for my thrifty adventures. So, ultimately I did what any other working woman with one day off would do. 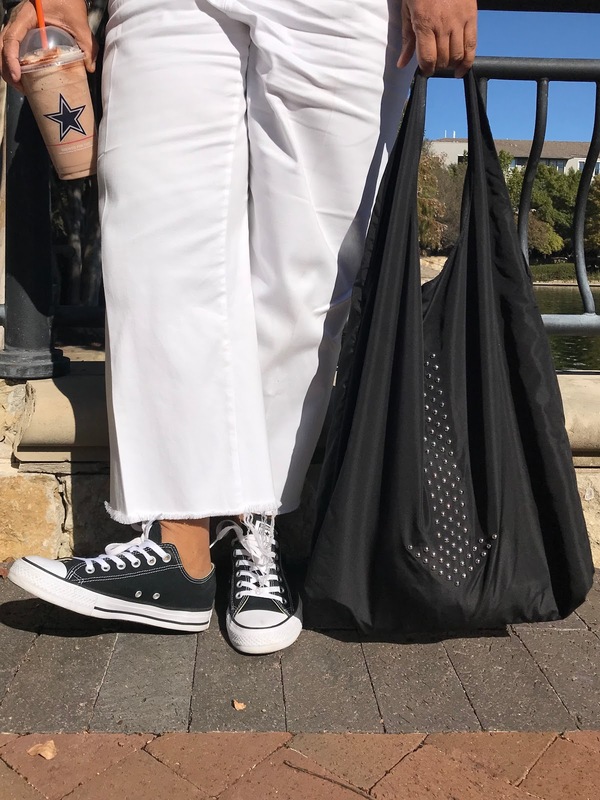 I grabbed my polka dot headscarf and tied my short blonde hair down, put on my old H&M white pants from the summer and paired with my faux leather jacket and my converse tennis. 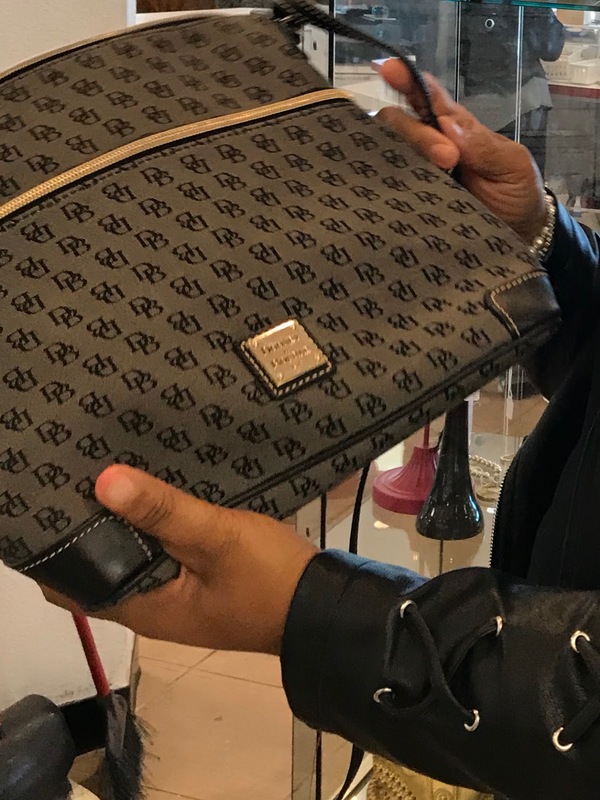 I usually never carry a purse, but for some reason, I grabbed my black Zara shopping bag because it is very lightweight and I did not want to carry around a big heavy handbag. Moving forward, First I had to grab a Dunkin frozen hot chocolate on my way to the thrift stores, and it was so good. It is a must try with whip cream on top and caramel drizzle. I just had to toss that in for you guys who may want to try a new drink other than coffee. After going to three different second-hand stores, from goodwill, the salvation army and the ones at the corner of my home. I finally found the inspiration I was looking for. 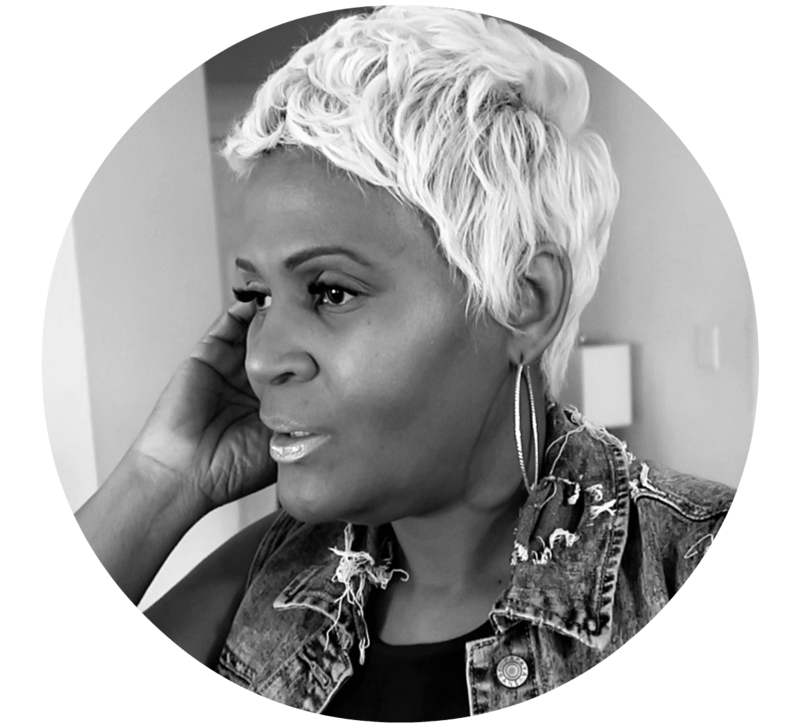 Please excuse me while I play with all the purses I saw from plain labels to Dooney and Burke, and I even laid my eyes on a few gentle used Steve Madden Handbags. It was absolutely amazing, and I went through every inch of each store. Of course, I saw a few things that I knew I would never wear such as 6-inch stilettos. But, hey back when I was 20 and 40lbs lighter I would wear a pair to work, church and school. LOL, those were the good old days. Also, we will be moving sooner than later, and I have been on the lookout for gently used lamps and planters. SideNote: Second-hand stores get a lot of new furniture and clothing from top named stores. Look for unopen pieces and chairs that are still wrapped in plastic. Also, I find the best handbags that are new, and I love it. 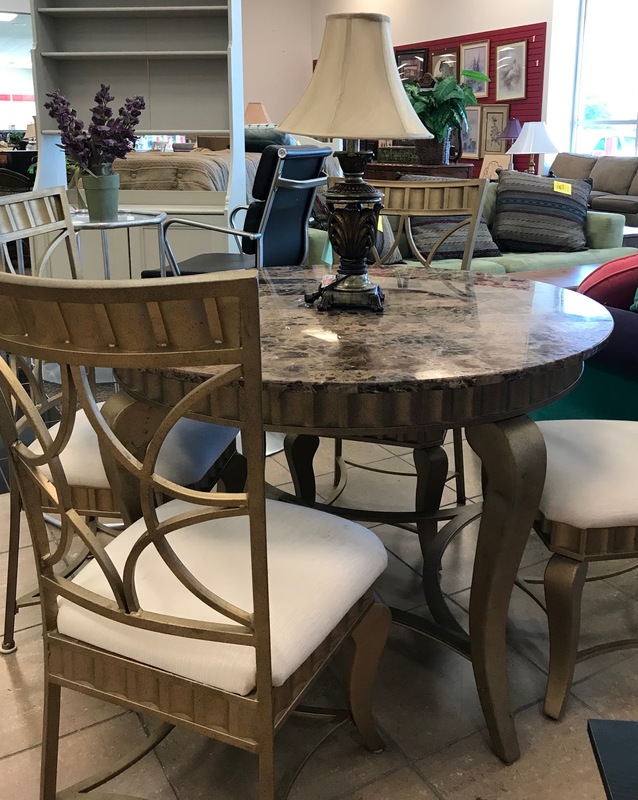 Today, I saw new dinette table sets and living room sectionals. Luckily I do not need one at this moment. 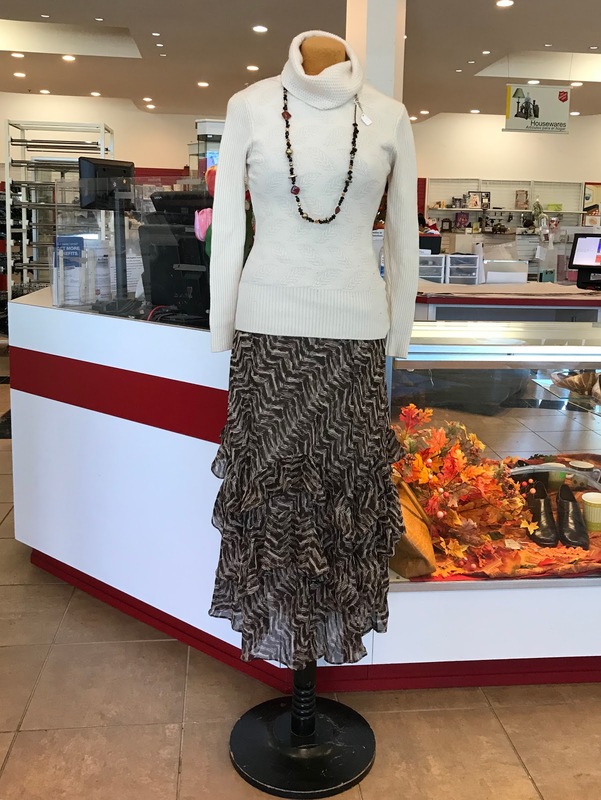 I also rummaged through the jewelry section, and I can't believe how far the thrift stores have come. When I was younger, I hated going thrifting with my mom because I thought it was uncool. Now it is the best thing ever, and I really do go to find my inspiration for new decorations, clothes, and whatnots. I spent the whole day shopping just to end up with a Madden Girl black and gold handbag that I got for 8 bucks. I will be styling it with a few of my winter outfits so stay tuned for that. There you have it a day thrifting with me. I may go back and get a few of the jeans I saw on the rack, but I didn't have time to try them on. Also, I was amazed at the inspiration I got from the decor section, and I will be incorporating those ideas into my new stuff at home. Another Sidenote: The thrift store is the best place to find thick boyfriend jeans at a low discounted price. My next visit will be for jeans only, but I will be waiting on the half off day to happen. 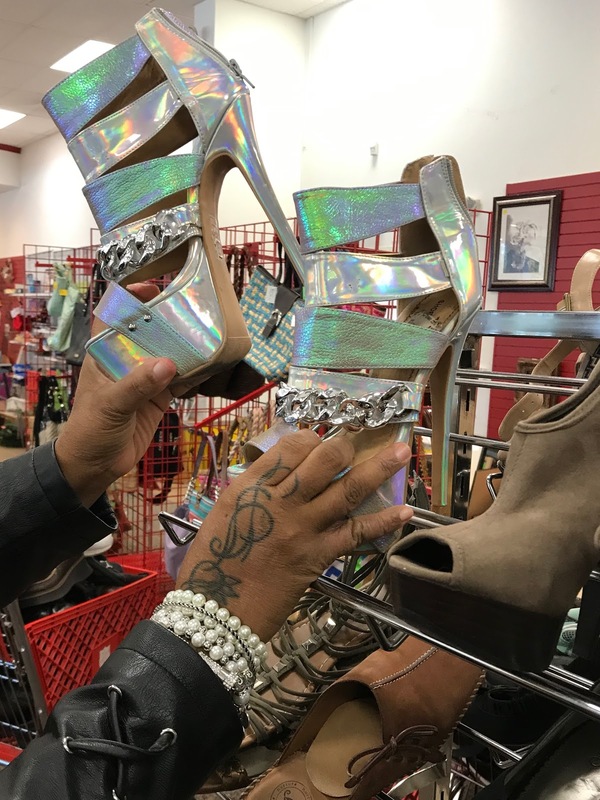 What do you wear and buy when you thrift shop? You found some pretty good finds! But, I just wanna know who gave away that Beautiful Dooney and Burke bag lol ??? I love to wear a light and flowy dress for thrifting! I feel like I can move faster in cooler outfits! I normally like to go for the skirts and jeans but this time I bought a cute pair of shoes and I loved them! I haven’t been thrifting in years! But I was never so fortunate to find designer goods. Maybe they weren’t at the stores I went to or maybe someone else bought them up before I could get there. Good morning Alice:) I know thrift shopping has changed a lot. When I was younger I hated going. But now girl you can find some good stuff. You should try it. I would love to read your finds. I've been busy but I am back. Sending you hugs from Texas.